Seeking a job opportunity to work with the Finest Emergency Response Security Company in the United States? If you are interested in providing security for a wide range of situations, from work stoppages and strikes, to natural disasters and special events, Special Response Corporation is the company for you! Our employees are Standby/On Call Security Officers, all with Military or Law Enforcement background, ready to respond to any security need throughout the United State at a moments notice. We rely on our database of qualified personnel who, once they’ve attended our 60 hour Training Academy, are able to travel around the country to jobsites. For more complete information on how to get started with Special Response Corporation, please Click Here and you will be directed to our Job Opportunities and Training Academy Webpage to begin the employment process. You may also complete the employment box below and our Personnel Specialist will be in contact with you. 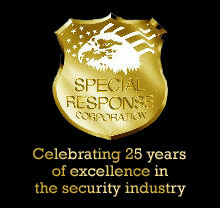 Thank you for your interest in Special Response Corporation!